Hayden Paddon is moving forward. Really, he is moving forward. The Kiwi rally driver says his life is back on track after a fatal car crash and his break-up with his fiancée Katie Lane. "Naturally when something like this happens it knocks your confidence but I have moved forward. The next two or three rallies were difficult, and last year was one of those years where if anything could go wrong it did go wrong for me - everything compounded. We were chasing our tail from the start and unfortunately in this sport once the pressure starts it continues to build up and things didn't tend to improve". The 31-year-old told the Herald on Sunday he was deeply affected by the accident in Monte Carlo and has learnt from it. "It's very private and I want to keep it to myself. For me it's about trying to learn something from this so that the man's life wasn't lost in vain and we can prevent something like this happening again". In January last year Paddon was driving when he lost control of his Hyundai i20 in treacherous conditions during the opening stage. His car slid off the icy road and rolled onto it's roof, accidentally hitting a spectator. The man died later that day and Paddon withdrew from the race. 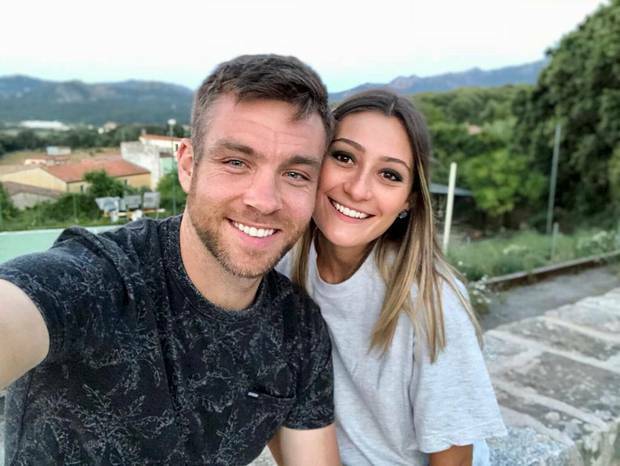 Paddon with his new girlfriend Maddalena Mureddu. "It was sad for everyone involved but rallying conditions overseas are a completely different 'kettle of fish'. There are hundreds of thousands of spectators. It's not like a race track where people are confined in a controlled environment. "When you are rallying in the mountains and in the countryside it's difficult for the authorities to control every single person being responsible and making good decisions where they stand." After the crash Paddon ended his partnership with his long-time co-driver John Kennard who had read pace notes for Paddon since his debut in the New Zealand Rally championship in 2006. "It was a matter of finding the right time, but there was never a right time. John was struggling with his hip and needed an operation, so the time came for us to make some changes. But we talk to each other regularly and he gives me constant advice." Before Kennard retired from World Cup rallying he and Paddon had been working "behind the scenes" to get his new co-driver, Sebastian Marshall on board. "Seb was already co-driving for me on tests and a few unofficial events. We are good mates, we have the same interests and we have a good banter, so it works really well. John and Seb are equally good co-drivers". But in May the rally driver had a speed wobble of the heart. 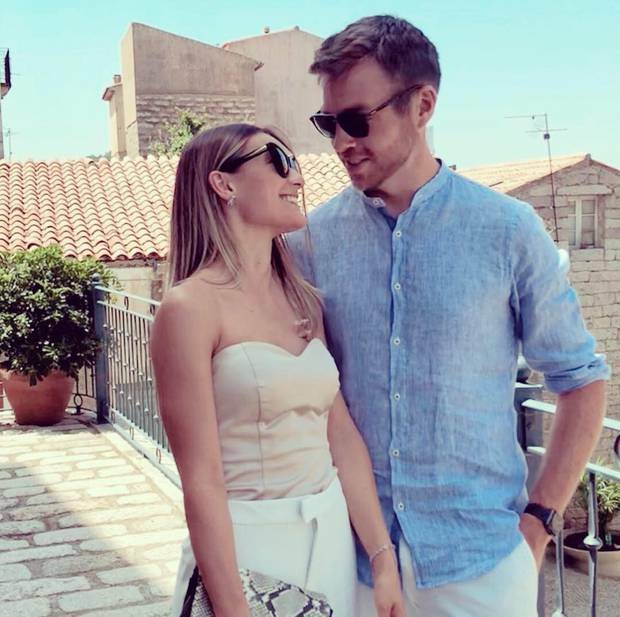 Paddon parted ways with his fiancée Katie Lane after a 10-year relationship. The marketing manager from Napier had been Paddon's co-driver in life - organising and promoting his career from their base in Frankfurt. Paddon denied the crash took a toll on their relationship and was quick to "move forward". "Katie was there to help me and support me through that - the break-up was completely separate. "Things happen in life and you have to learn to accept the unexpected. I'm not exactly heartless, but last year was a big life lesson for me. But because of that I've become a much stronger person." Lane married Thomas Villette a PR Manager for Hyundai in Europe last month. Right now Paddon is focusing on his first love: rallying. He's got his mojo back after securing fourth place in the Finland rally two weeks ago. And next weekend Paddon and co-driver Malcolm Peden are competing in the Hyundai NZ Gold Rush Rally of Coromandel. "I was looking for many answers last year and nothing seemed to be working. But it comes down to the fact I have really high expectations of myself. I wasn't meeting those so it forces you to look at yourself a bit more. Last year the enjoyment factor was starting to disappear, whereas this year I've got that back again." Paddon also revealed he was frustrated being the part-time driver for Hyundai. But, he says he's turned that "frustration" into motivation. "Rallying has always been my life ever since I was a kid going through tough times- it was the thing that kept me on the straight and narrow. I want to come back and prove some people wrong. I am really focused on trying to get back a full time seat." He is hoping a win next weekend and a good result in the WRC rally in Turkey might secure future support from Hyundai when his three-year contract ends, this year. "I like to stay loyal to a brand. Possum Bourne was one of my idols growing up. He was famous because of his relationship with Subaru. We are trying to build the same thing with Hyundai - they are the people who believed in my dream right from the beginning." These days Paddon has no fixed abode and has been living out of his suitcase. He commutes between New Zealand and Italy where he has found love again with Maddalena Mureddu, a luxury furniture consultant from Sardinia. The pair met at a rally and "clicked." Is marriage on the agenda? "I will walk before I can run. Moving forward."